In this chapter we focus on the links between creativity, learning, and technology in education. More specifically, we propose and exemplify a unitary, sociocultural framework of creative learning based on the notions of position and perspective. We start by specifying some general principles of sociocultural theory, in particular the interdependence between person and context and the way in which psychological processes “extend” into the world through the means of action, interaction, and communication. Following this, we outline the perspectival model of creativity and learning, focused on how re-positioning and perspective-taking lead to new, creative insights, and relate it to various uses of technology in education, including technology mediated creative learning practices and immersive technology. 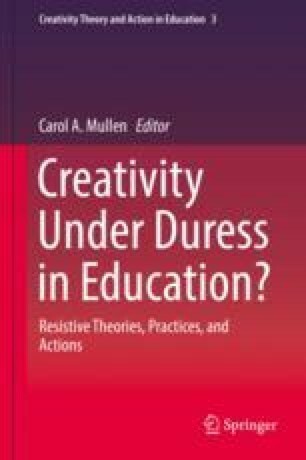 In the end, we reflect on the consequences of these uses for how we understand, theorise, and cultivate creative learning in and beyond the classroom.